Monday evening, the Detroit Lions invited season ticket holders to Ford Field to participate in a Q&A session with the big trio inside the Lions organization: head coach Matt Patricia, general manager Bob Quinn and team president Rod Wood. Much of the summit was filled with predictable answers. 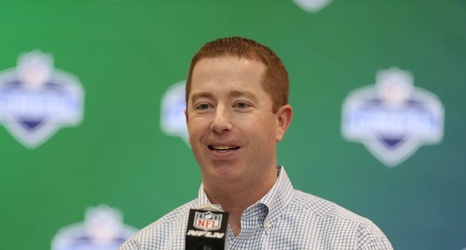 Plenty of secrecy regarding draft strategy, Bob Quinn, Matt Patricia and Rod Wood all mentioned they weren’t happy with 2018’s results, and there were other cliches throughout the night. But one unexpected moment happened when a fan asked whether the team was interested in selecting a quarterback with the eighth overall pick in following the NFL trend to get a young, cheap quarterback to help their roster building.